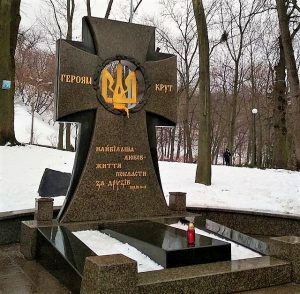 Today Ukraine commemorates the heroes of the Battle of Kruty. The battle took place on January 29, 1918, when several hundred men of the Ukrainian forces including 300 students briefly halted the advance of 4,000 soldiers of the Red Army towards Kyiv. While the Ukrainian soldiers slowed the Bolshevik march towards Kyiv by days, eastern and part of western Ukraine were brought under full control of the Soviet Union by 1923. All students who fought in the Battle of Kruty were killed or imprisoned and executed later. The battle is commemorated as a symbol of patriotic self-sacrifice and is immortalized in numerous literary works.